Feathers usually signify hope or new beginnings. 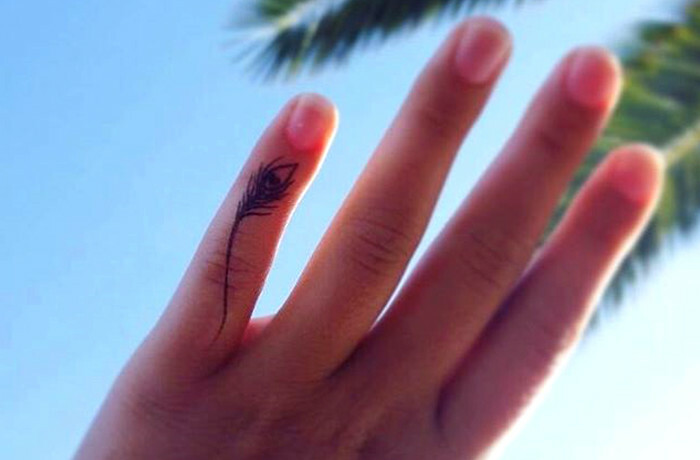 A single feather stands for luck and the birth of something new. Feathers also symbolize faith, virtue and charity. 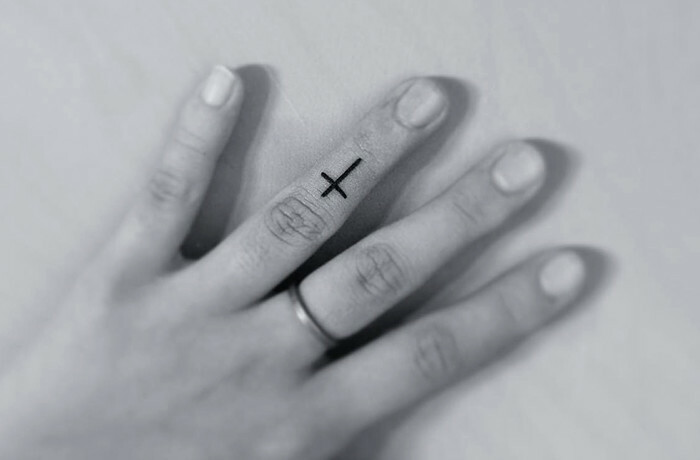 It is a symbol of spiritual protection. 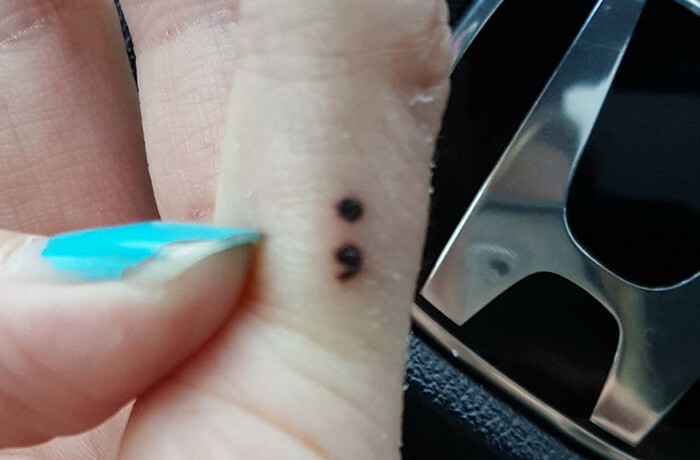 Just like the punctuation that denotes a pause, but not an end in a sentence, tattooing a semi – colon on your finger means that you might have paused in life, but you choose to move on, and continue with it. 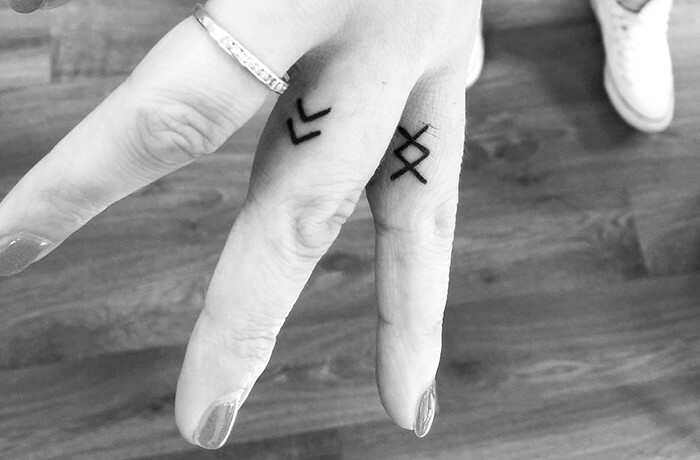 The Chevron and Inguz symbols belong to the Vikings. Chevron stands for creating your own reality or path. It also supports the Greek symbol of Inguz, which states that where there is a will, there is a way. 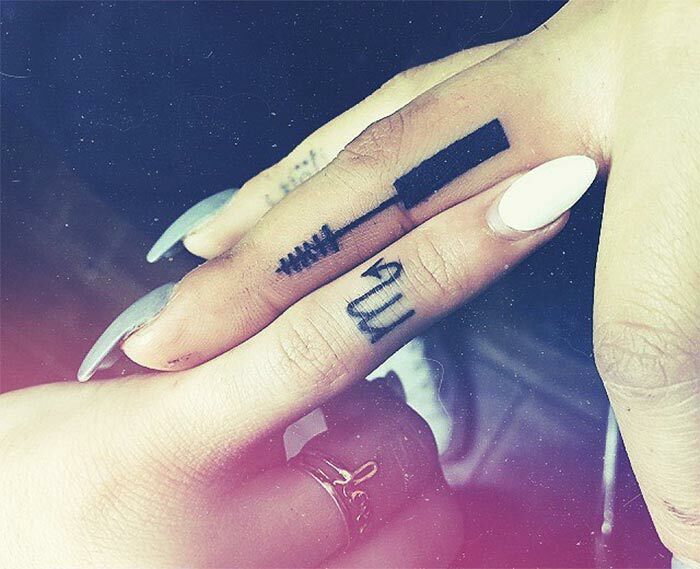 These tattoos symbolize stability and strength. It stands for a thing or a person who holds you in place, and gives you the strength to deal with absolutely any situation that is thrown at you. The mountain stands for “AutInveniamVizmAutFaciam”. This means that either you shall find a way or make one. It is very inspiring. The camera, on the other hand, stands for capturing a moment. It may have an association with travel, or a certain event in your life that you want to hold on to forever. A lotus usually breeds in muddy water. Therefore, this tattoo symbolizes blossoming and mounting above all difficulties to reach the zenith of enlightenment. 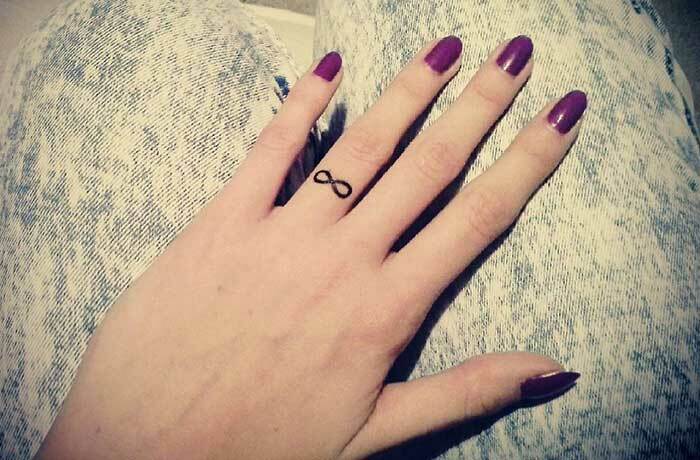 Infinity is not just a mathematical symbol. It stands for an intertwined loop that refuses to end. It asserts love that is pure and unconditional, and that promises to last forever. The sun signifies strength and masculine power. It stands for all things virtuous. 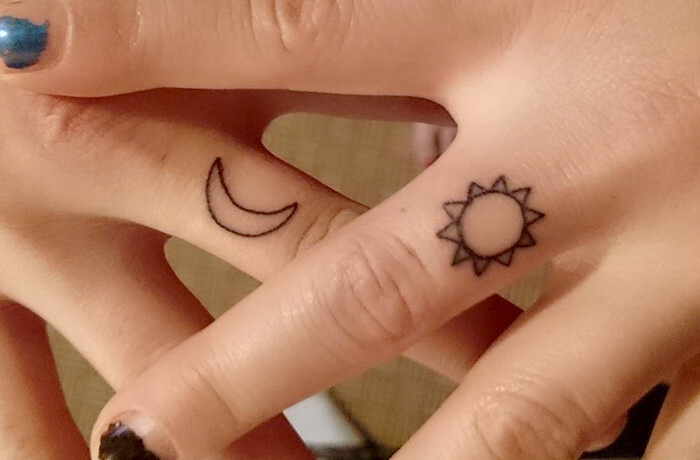 The half moon tattoo is one of the best tiny finger tattoos for women. It finds its associations with fertility and the menstrual cycle. Its shape also resembles the shape of a woman’s body. 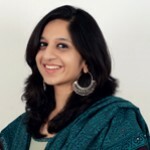 It is feminism personified. 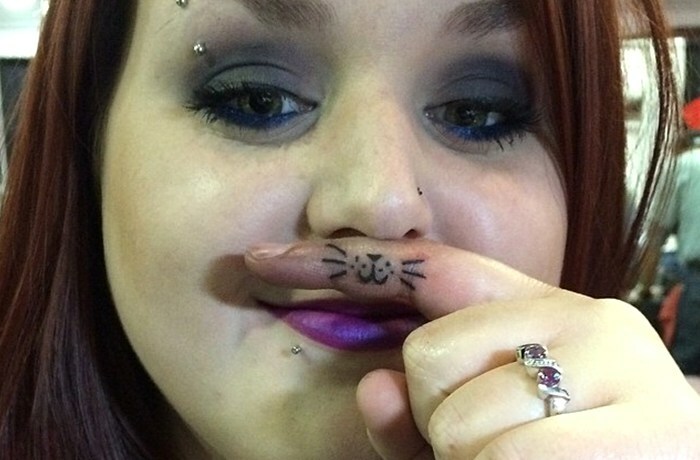 This tattoo is basically a moustache on the index finger. 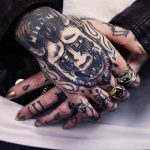 It started off as a mere joke when tattoo artist Jay Balboena tattooed a moustache and placed it between the nose and the lips. This caught on and gained popularity. 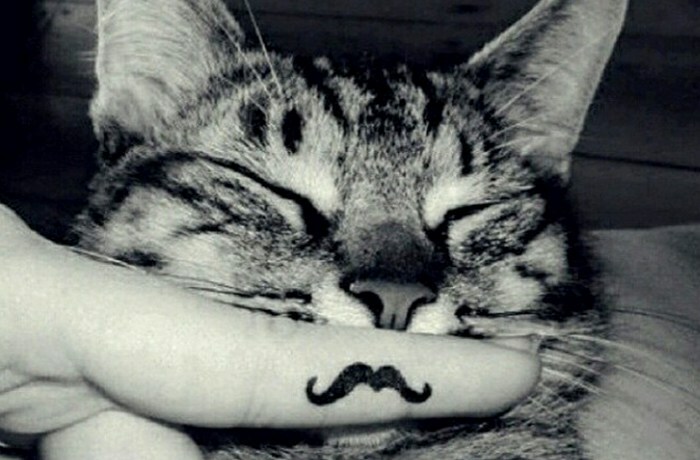 The moustache tattoo is usually paired with a top hat and a rabbit tattoo. Calling out to all the cat lovers! 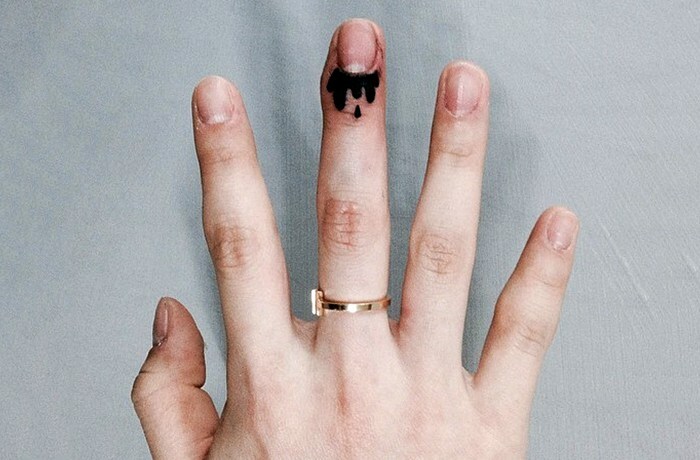 If you have a feline fetish, you shall have whiskers tattooed on your fingers! 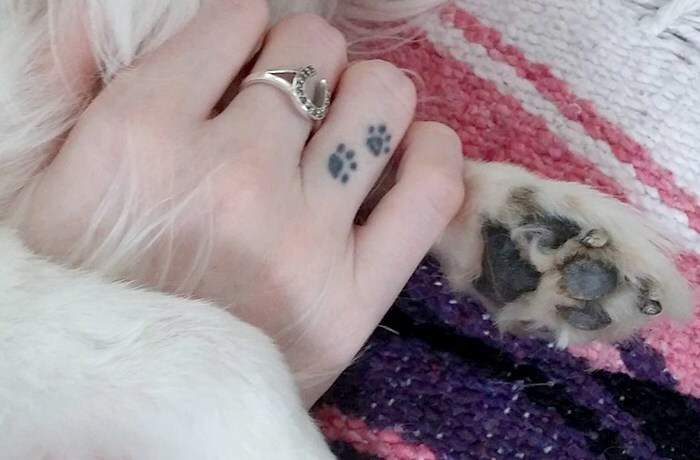 The paw tattoos stands for various things. It could be in honor of your favorite pet, or it could stand for a character trait that represents a culture. 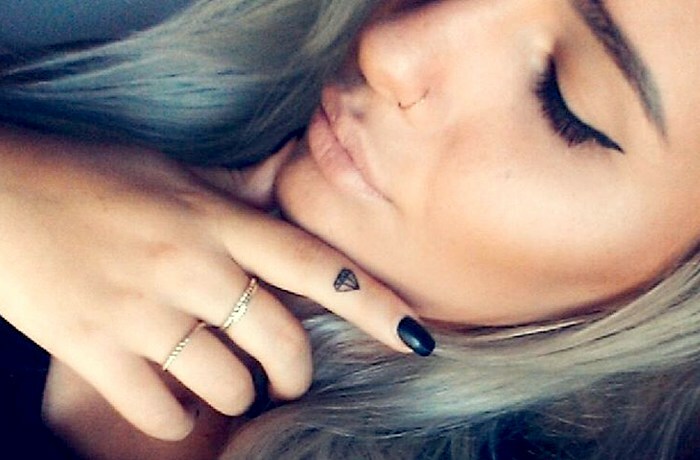 It is a great choice of tattoo. 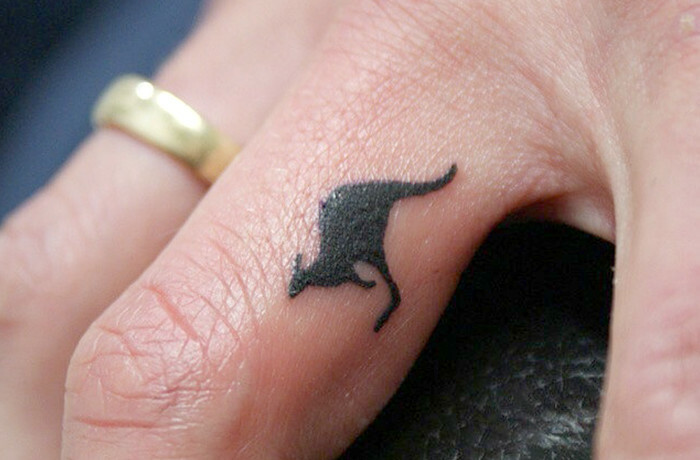 You don’t need to be Australian to have the kangaroo inked on your body. Often, this tattoo is associated with power, intelligence, adaptability, strength, stamina and balance, just like the traits of the kangaroo. 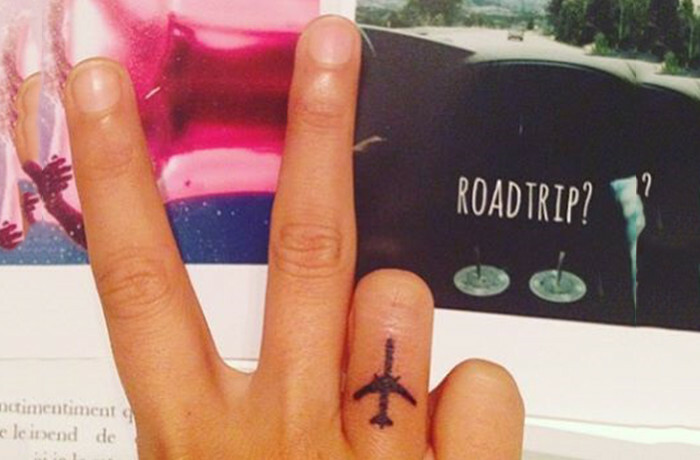 Airplane tattoos reflect passion, but they also symbolize a memory of a good experience. 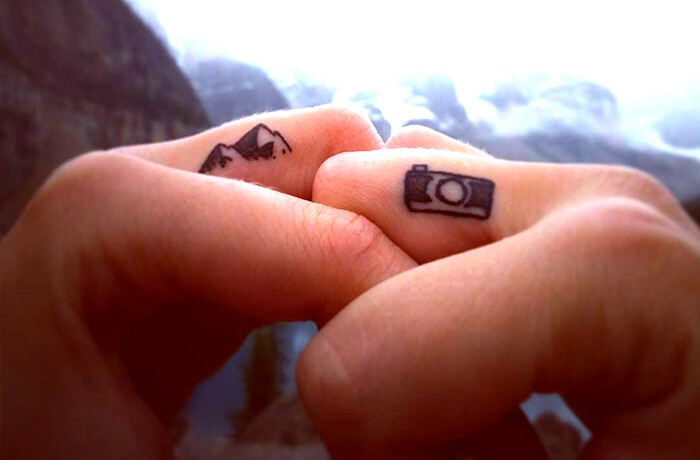 If you love travelling, this should be your choice of tattoo. The airplane tattoo also signified power during the first and second world wars. 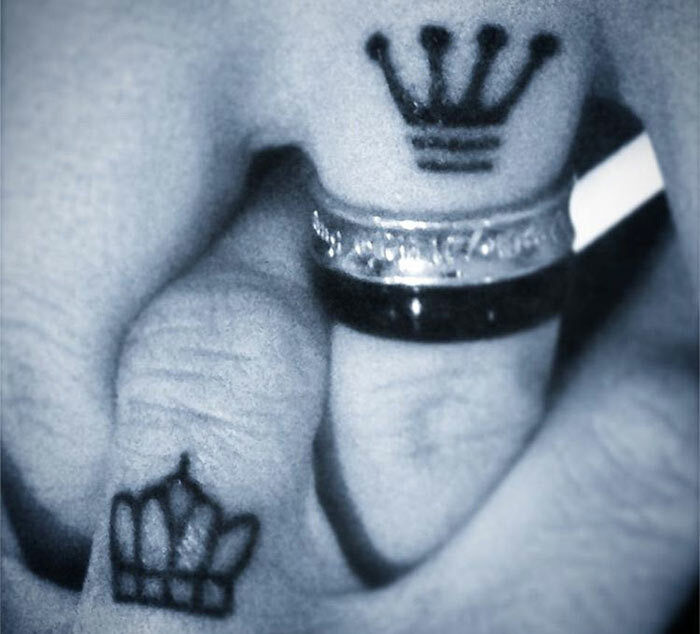 Very simply, these tattoos state loud and clear that he is your king, and you are his queen. A crown is the symbol of royalty, which translates into wealth, power and supremacy. For someone with these goals, getting a crown tattooed might help you focus on your goal and help you reach the heights you want to. Three dots usually represent today, tomorrow and forever with your loved one. 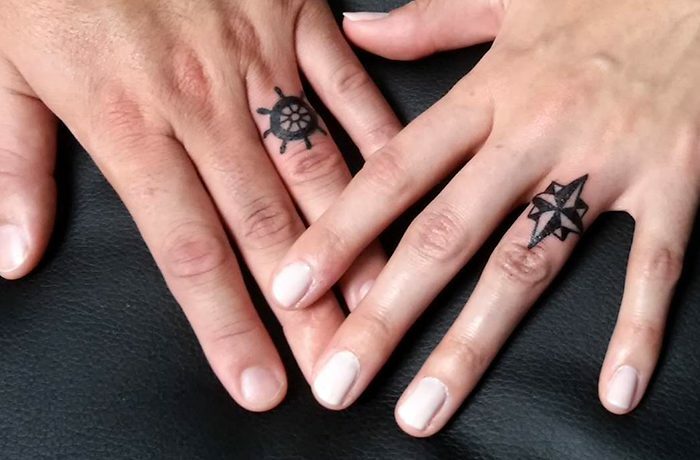 Once you’ve found the “one” this is the tattoo you might want to pick. 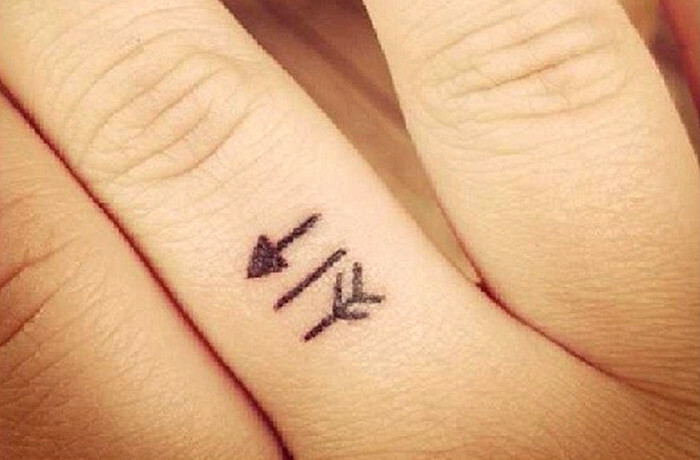 The arrow is a Native American symbol, used to communicate ideas, dreams and history. An arrow was a weapon that offered protection and provided food through hunting; therefore, it was a life-sustaining tool. A broken arrow, like the one in the picture, signifies peace. 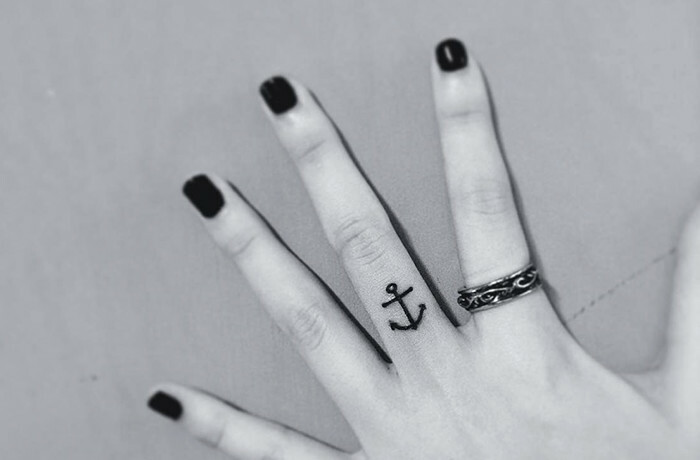 The ship wheel tattoo stands for choosing the right path for our journey through life, so that we make the most of the opportunities it throws at us. As for the compass tattoo, it stands for seeking directions, so that you are not lost, and you find purpose and are inspired to fulfill it. Science and chemistry lovers are sure to lean towards this one. An umbrella stands for temporary protection or shelter. However, it also represents solidarity of the family. This one is a no-brainer. 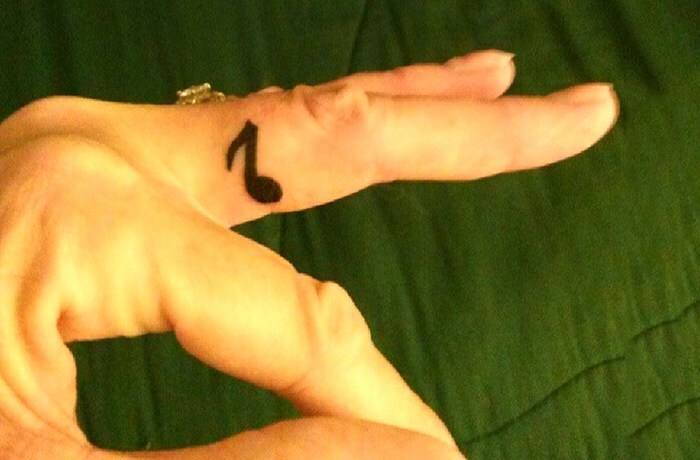 If you have love and passion for music, you will surely want to have a tiny note tattooed somewhere. Diamonds are precious and durable, and denote courage, firmness and invincibility. If a woman gets a diamond tattooed, it signifies fertility and protection for her unborn child from all the evils of the world. Many people associate the Cross with Christianity, but this is what it really signifies. The horizontal beam is a symbol of all things feminine and also includes earthiness, passivity, death and destruction. The vertical beam is a masculine counterpart. 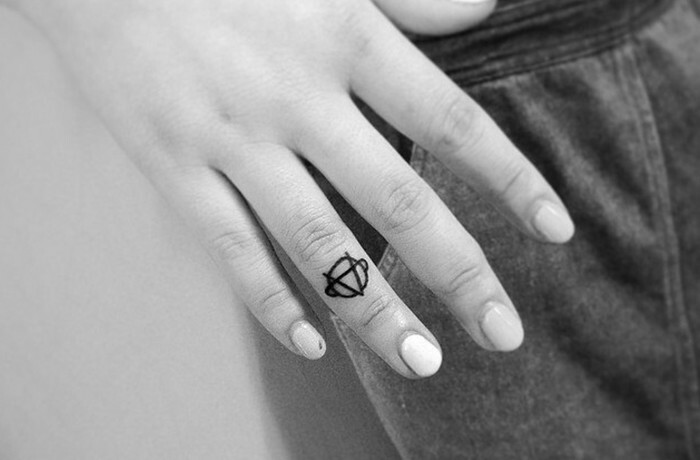 It stands for everything eternal, celestial, active, creative and full of life. The Cross, therefore, is a sort of Yin & Yang. When you see a tiger, you instantly think of strength and power. It is fearless, and has supreme power in the jungle. A tiger tattoo stands for all these characteristics. 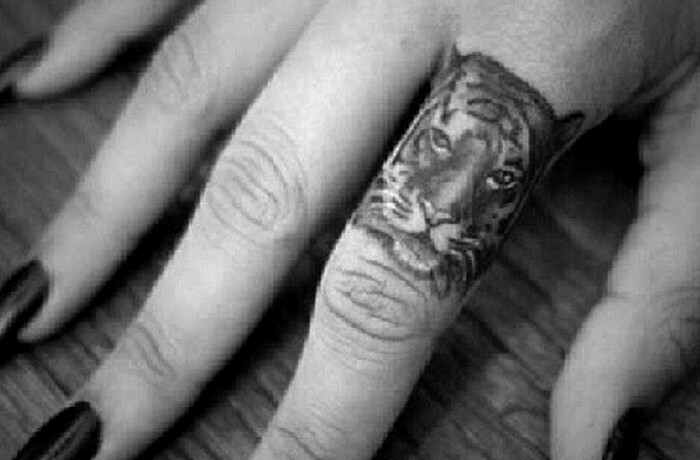 But with the fear of the extinction of these species, many animal lovers get a tiger tattoo these days to take a stand against the poaching of tigers. 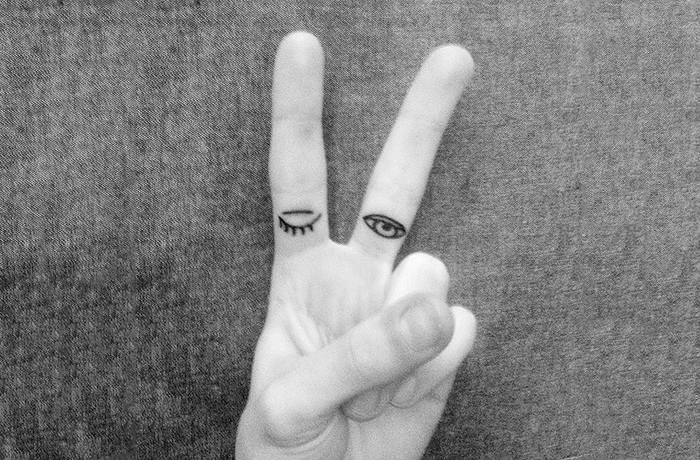 The eyes are one of the most important sense organs, and also hold a great deal of symbolic value. 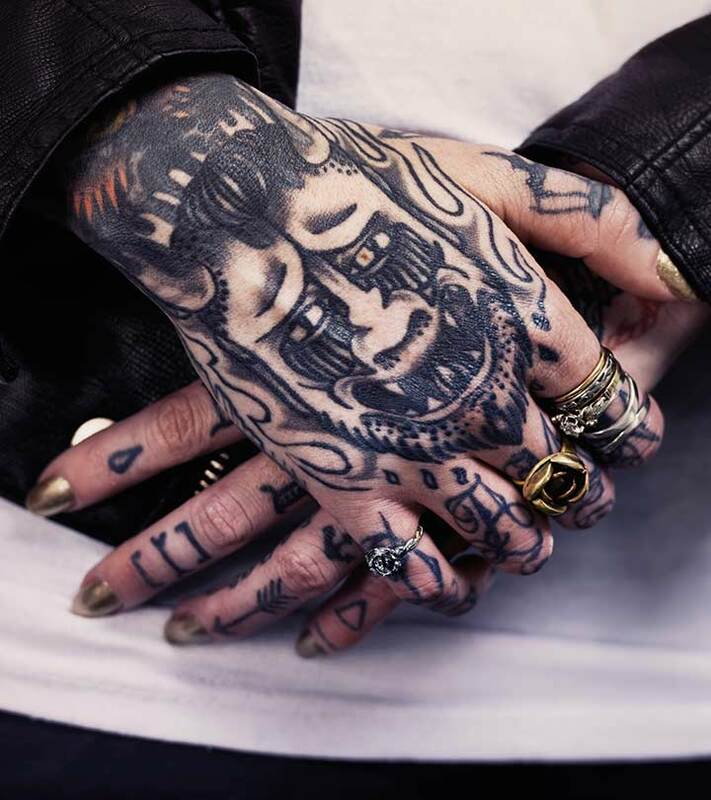 The tattoo of an eye could represent the essence of life, a shield from all things evil, concentration, wisdom and enlightenment, protection, the divine self and foresight. These are quite common, with each sign having its own meaning and significance. If you find yourself a part of a recovery group, having been addicted to alcohol or drugs, you might consider getting this tattoo done. 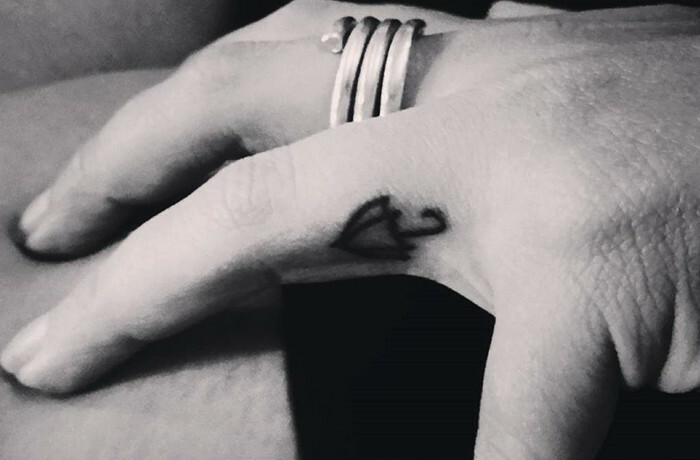 The three points of the triangle represent recovery, service and unity for the mental, physical and spiritual part of the addiction. 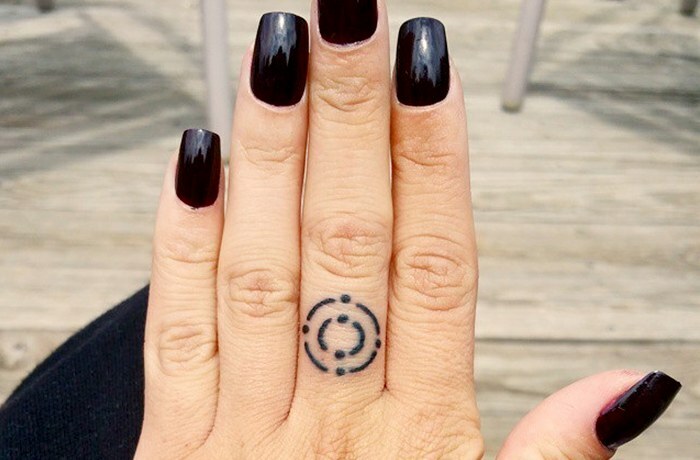 The circle represents being whole. This could be just any word that means something to you, and is close to your heart. 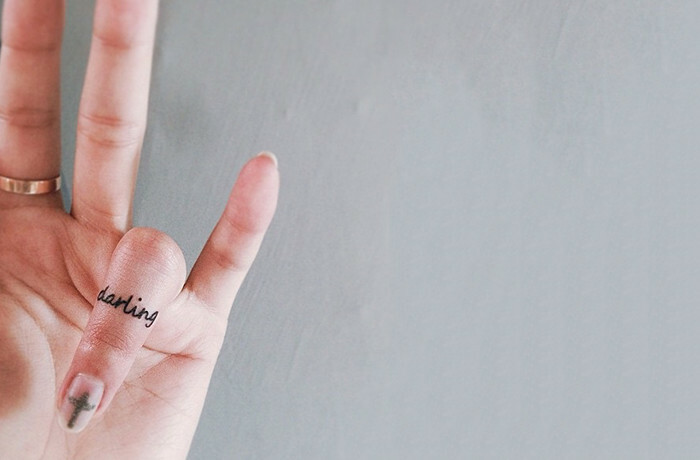 Your fingers are a good place to etch them forever, unless of course, you change your mind later. 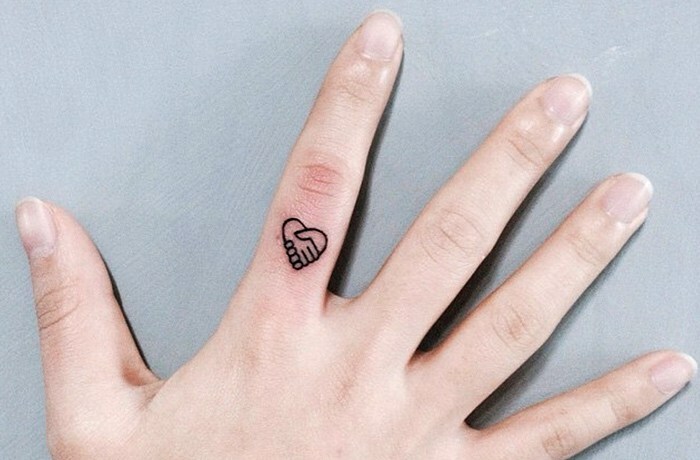 This is just a cute, random, fun tattoo idea. But it could also mean something to the person who has gotten it done. 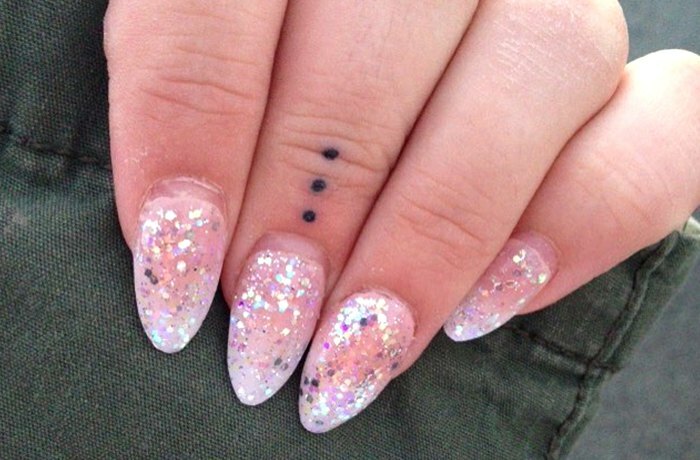 Tattoos are never just for fun! 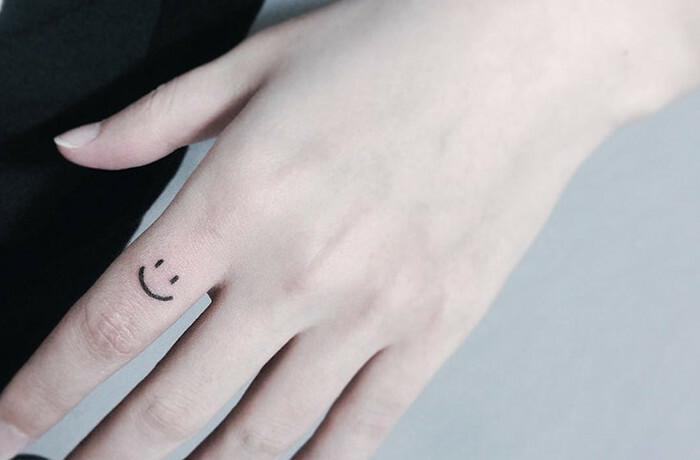 This tattoo is as simple as it looks. 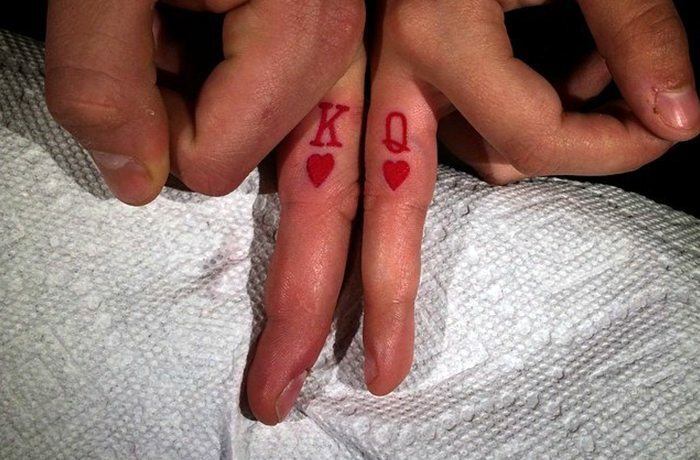 It signifies love and togetherness. It is a promise to never let go, and a guarantee to always be there. This is a constant reminder to never worry and always be happy! 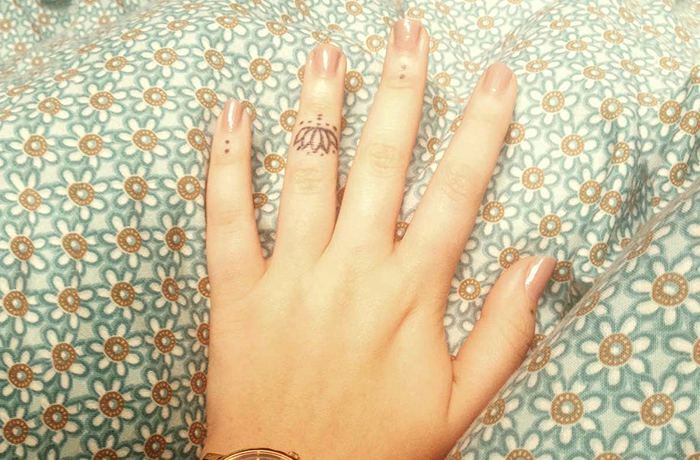 Small is big, or so they say – and these tiny tattoos prove that right!